In 2010, the Kansas City Chinese American Association (KCCAA) established an annual KCCAA Community Service Award to encourage primary and secondary school students in the greater Kansas City area to develop stronger awareness of public service and to participate actively in community service. In the past several years we have seen an increasing number of young students engaging in volunteer work, particularly under the leadership of KCCAA Youth Hope Fund. More and more of our young people have come to understand the personal satisfaction of helping others. In order to honor the unselfish efforts of these young people and, in hopes of encouraging others to follow their examples, KCCAA will offer recognition to some of the most outstanding efforts by the young people in our community to help others. There will be three level of recognitions, one first place, two second places, and three third places, evaluated based on the criteria below. 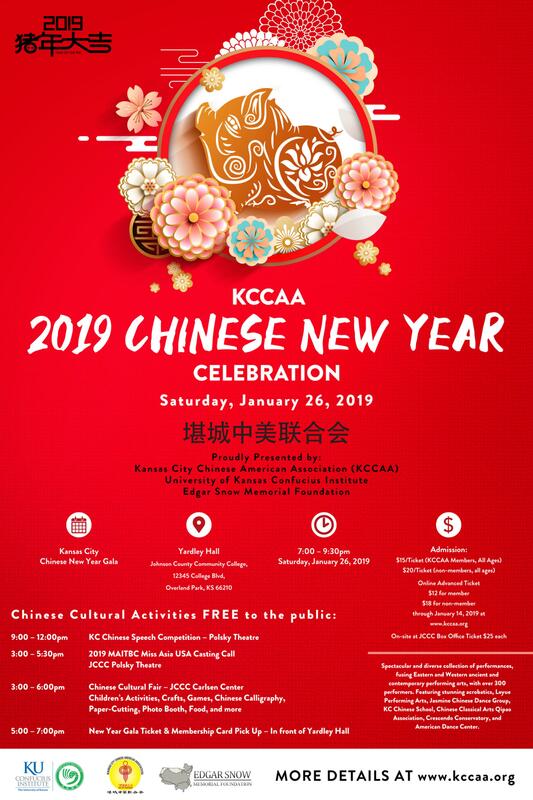 To emphasize the intrinsic rewards of community service, the awardees will be given plaques, scholarships, and will be honored on stage at KCCAA’s Chinese New Year Gala. Service activities that emphasize service to others in need will be valued over experiences that are designed primarily as learning experiences for the student. Quantity of hours of service will not necessarily be more highly valued than quality but consistent patterns of service to others will be valued by the judges. Initiative and (age-appropriate) leadership and organization in group efforts to serve others will also be noted. Fundraising activities to benefit others will be viewed as worthwhile, but (age-appropriate) direct service to others may, in some cases, may be viewed as having more enduring significance for the student applicants. Submit an application letter by email to kccaa.award@gmail.com by January 13, 2019. We are honored to have Kansas City (MO) Councilman, Mayor Pro Tem Mr. Scott Wagner to be our guest speaker, introducing the deferent levels of elections that happen around us and how these elections affect us. Topics will also include how can we get involved with the various election activities for those who are interested.